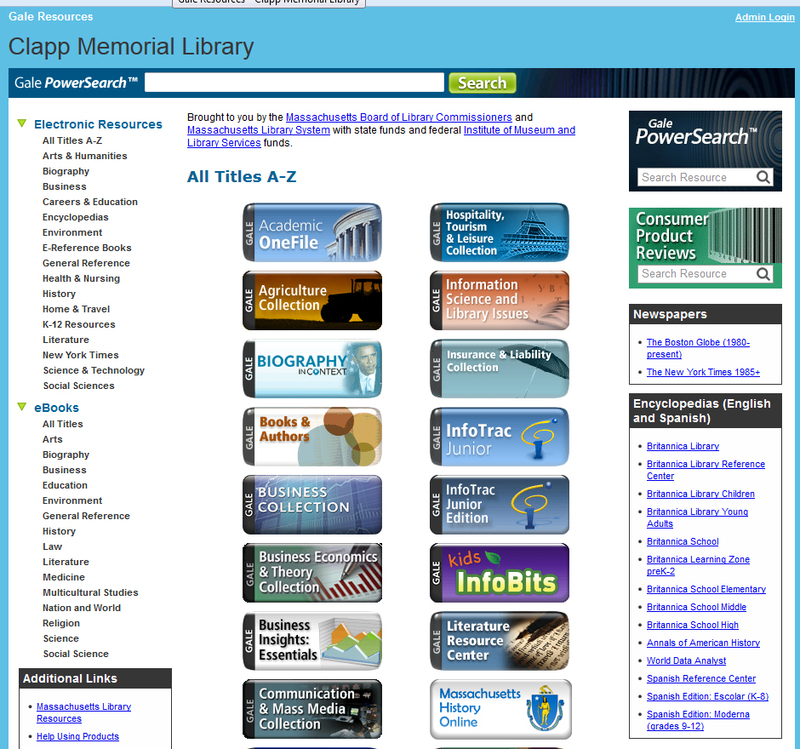 The MBLC (Massachusetts Board of Library Commissioners) digital research website contains magazines, journals, newspapers, and encyclopedias for all ages. In addition, you can get access to thousands of popular magazines, scholarly journals, newspapers (including New York Times 1985+ and Boston Globe 1980+), Encyclopaedia Britannica, biographies, health and prescription drug information, US and World History, newswires, business directories, investment reports, K-12 resources and electronic reference books. Click here or on image below to access MBLC databases.